A couple weeks ago I was able to convince Joshua to get a FitBit since he’s been tracking food and exercise through MyFitness Pal. 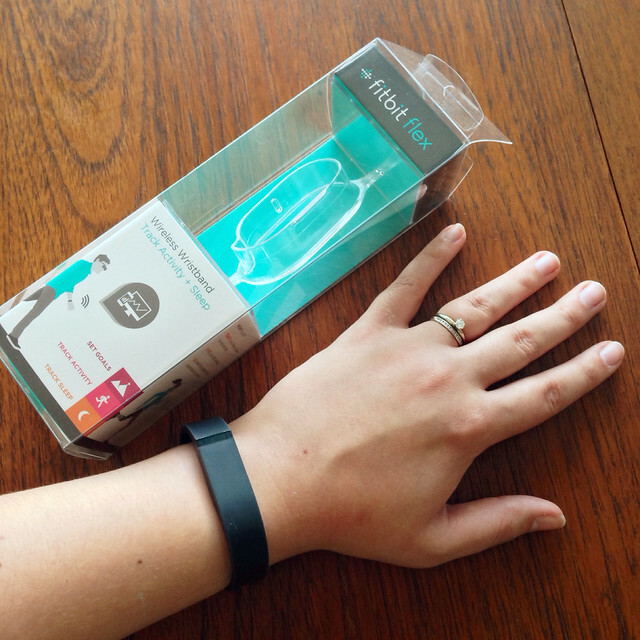 He picked out the FitBit One, and one week later I sold myself on getting the FitBit Flex. I’m also using the Weight Watchers ActiveLink to track my activity points. Both have things I like and dislike about them. I got my very first fitness tracker, an original FitBit in 2011. I was really excited to have a fancy device that tracked my activity as well as my sleep. My FitBit acted as a pedometer, so I was able to track Weight Watchers activity points by punching in my steps on eTools. Overall I really liked it, but I did have some issues with it. First off, I wore it on my bra so I was constantly taking it off and putting it back on which caused wear and tear on the area it clipped. Two months in the backing broke off, so I contacted customer support. They sent me a new one free of charge, and I was back in business. A few months later it appeared a thin layer was peeling off, plus I went off Weight Watchers for a time, so I got rid of my second FitBit. I could have had another replacement, but at the time it wasn’t worth the effort. By then new models had come out anyway. 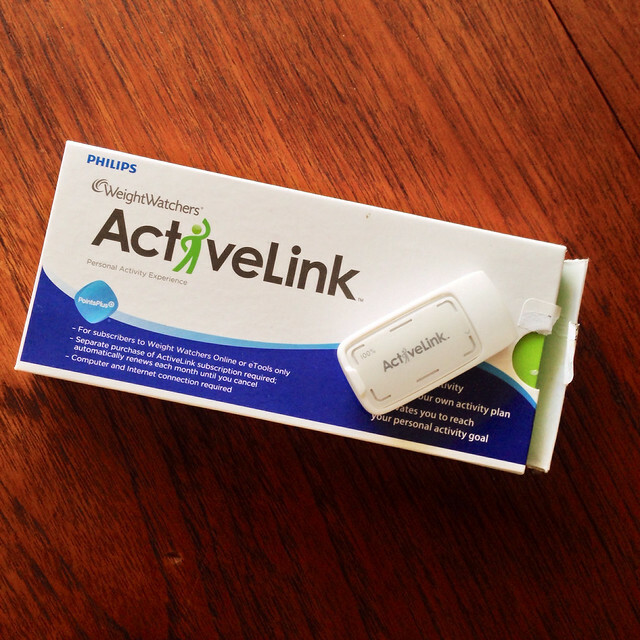 When I rejoined Weight Watchers last year I was thrilled to learn they had their own fitness tracker: the ActiveLink. I purchased one immediately. It was significantly cheaper than a FitBit up front, but the downside was I had to pay $4.95 a month to use their services. Despite that, I was still pleased with how it worked. I felt like I was getting an accurate measurement of my activity points since it’s so easy to overestimate your activity (and underestimate your food). There were certain things that I did miss about the FitBit, mainly the pretty interface and the detailed fitness/sleep information, and after convincing Joshua to get one I convinced myself to get one as well. Depending upon which FitBit you get, you’re either wearing it on your wrist, chest, or waist. I’m using the Flex, so I’m always wearing it on my wrist; the only time I take it off is to shower. The FitBit itself is a small unit that fits inside a wrist band, but it can also be taken out to put in the charger. It wirelessly syncs, so as long as you are near a computer with the wireless dongle or near your smartphone with the app installed, your info will always be up to date. Tracks all your activity and sleep. Starts tracking immediately – no assessment period. You can set a silent alarm. Free online and mobile tools (set goals, track trends, log food and more). Works with a variety of fitness/health apps on your smartphone such as MyFitness Pal. Beautiful interface for the web. Seeing all the different tiles and getting that visual overview is what helps motivate me. Wirelessly syncs to your computer. The only time you need to plug it in is to charge it. Ability to view your progress throughout the day, both via on the FitBit itself as well as on your smartphone/computer. Fancy app for your smartphone that also wirelessly syncs. Very nice UI as well (hey I’m a designer, these things matter). No longer limited to the USB version. I got the Flex so I can wear it around my wrist. The Flex has a wide variety of colorful wrist bands if you want to switch things up. They have a scale that works with your FitBit to sync your weight, BMI and body fat. A little pricey up front – $99.95. We got ours at Target with our RedCard, so we got 5% off. Doesn’t work in conjunction with Weight Watchers. The only information you can use to generate activity points is steps. It does now! Can wear down over time. The Flex doesn’t show the time. I feel like I am wearing a watch as it is, so why not add the time? The ActiveLink is a clip-on unit, so you can wear it on your chest, waist or as a necklace. I wear mine on my bra, and the only time I take it off is when I shower or go to sleep. When you first start wearing it you go through a one week assessment before it starts tracking your activity. That way it can properly assess your baseline – the level you need to reach before you can start earning activity points. When you set it down on a flat surface, you can view your progress based on how many lights light up. It works in 25% increments, and when you reach 100% (four lights) the whole thing will light up like it’s doing a victory lap to show you’ve met your activity goal for the day. Syncs up with Weight Watchers eTools. Tells you exactly how many activity points you got for the day. Cheaper than a FitBit up front. Clips onto your bra a lot easier than the FitBit One/Zip and is more discreet (it’s flat). Shows your progress throughout the day. Offers challenges to encourage you to move more. Has a monthly $4.95 fee. The one week assessment period when you start prevents you from tracking any activity. You have to reach a baseline of activity before earning activity points. Doesn’t sync wirelessly. It’s a USB, so you have to plug it in to your computer to have your data synced. No fancy app for your smart phone. Weight Watchers has scales but not one that can wirelessly sync with your ActiveLink like the Aria can with the FitBit. Difficult to track progress throughout the day if you’re wearing it in your bra. You won’t know how many total activity points you got for the day until the day is over (midnight). This can be frustrating if you swap activity points for food. It doesn’t track your sleep as well as a FitBit. Technically you can see what hours you were active vs when you weren’t, but there’s no sleep mode. Doesn’t work in conjunction with any other health or fitness apps like MyFitness Pal. You lose the ability to manually track your activity. This can be problematic if you forget to wear your ActiveLink like I did one day and didn’t get any credit for three hours of yard work. I love both, but if I had to choose it would be the FitBit; the only thing that keeps me using the ActiveLink is the fact it tells me exactly how many activity points I’ve earned. In the event that my ActiveLink dies or gets lost, I probably wouldn’t replace it though. If Weight Watchers could take everything I like about the FitBit and do that, then I’d be set. Or if FitBit could calculate activity points. For now, I’m going to continue to use both. Get ready for it… June is #MobileFit Month! It appears you can now FINALLY sync up other fitness devices to Weight Watchers eTools! Hooray! To do so go to ther device list and connect with the device of your choice! Weight Watchers has released the ActiveLink 2.0. I don’t plan on buying one because you still have to pay the extra $5 a month. From what I’ve gathered it basically now does everything the FitBit does, and it costs $59.95. Given that eTools lets you sync up your other devices, I see no reason to buy the new ActiveLink. If anything, I want the new FitBit Charge. We don’t have the activelink here in Canada, but I had thought it was an interesting product. I am glad you did this comparison because I’ve been thinking about getting a fitbit. I would have liked to try the fitbit force, but of course it has been pulled off the market. 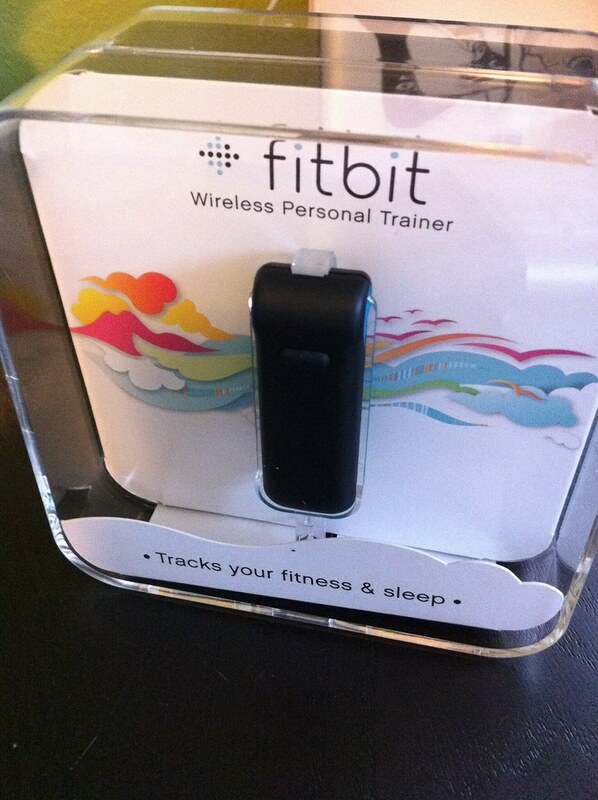 I might wait to see what fitbit comes up with next before I make a big purchase. They just announced at my meeting last week they’re coming out with a new model. Maybe it will finally be in Canada now? IDK, I still like my FitBit a lot better. Now that WW has finally caught up you can get one and sync it with eTools! I believe that you can manually add activity to your active link. I have had mine for a year now and I add activity when I forget to wear it. It is diffidently a bummer that you have to pay $5 a month for it though. I am looking into a fitbit and I am like you if i am wearing something on my wrist like a watch I want it to be able to tell time. I tried manually adding, and I feel it did not give an accurate representation of my activity – all the more reason I switched. I’m glad I did! I just found out today that you can link to Fitbit up to you WW e-tools. That’s actually why I was googling for information to see if others dropped their activity link now that you can do this and if the activity points calculated from the Fitbit usage is comparable to the active link. I think the Fitbit wins purely because it looks nicer. And a $5 monthly fee, really? No thanks.